Are you looking to increase the quality and quantity of airflow to your engine? Is your OEM filter ready to be replaced? The K&N Air Filter is a higher flowing replacement for your OEM air box. 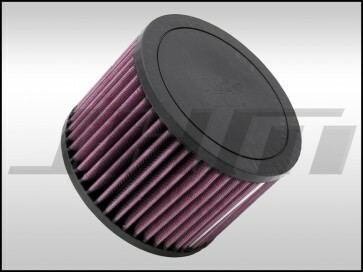 This K&N filter is a great upgrade for your C6-S6 5.2L V10! This K&N filter replaces your OEM Filter. OEM part number 07L133843E or 07L 133 843 E. This filter is cleanable and reusable. In our experience, we have noticed better performance by using a K&N Filter with an OEM Air Box as compared to most aftermarket intake setups. This is due to the highly engineered design of the OEM air box.